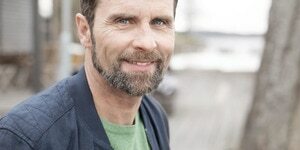 Maintaining healthy skin can be a challenge, even when providing the best possible care – especially with incontinence protection that needs to be worn throughout the day. 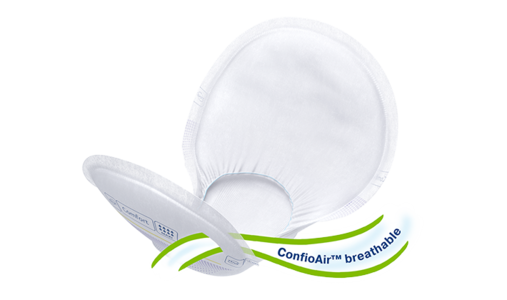 TENA introduces fully breathable protection with ConfioAir™ that is gentle on the skin, and promotes skin health, comfort and dignity for individuals within your care. The evidence for more skin-friendly protection. Twice as breathable. 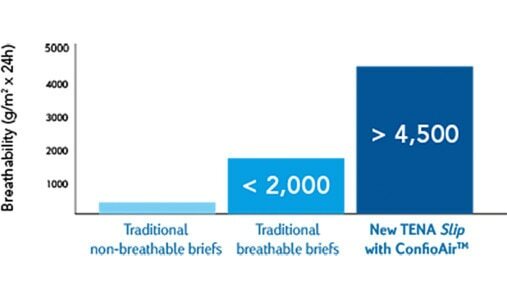 In tests, the sides of TENA Slip with ConfioAir™ are twice as breathable  as traditional breathable briefs. 1SCA laboratory test using standardised water vapour measurement comparing the sides of current TENA Slip models and TENA Slip with ConfioAir™, 2013. 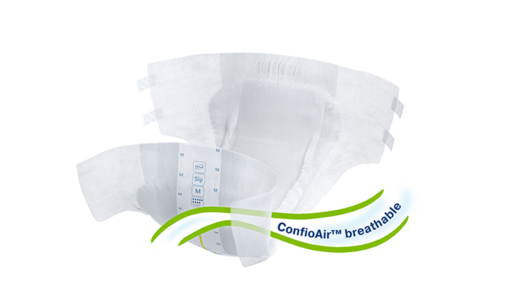 2SCA microclimate testing with 30 respondents wearing traditional briefs and TENA Slip with ConfioAir™ and measuring relative skin humidity at front, back and sides during 45 minutes, 2013. 3Product testing with 242 caregivers in three countries: 88% confirm that TENA Slip with ConfioAir™ is more airy and helps to protect skin health.